So we had a pretty good weekend this past weekend. Lots of laughs, fun, and good times. So let’s get to it! 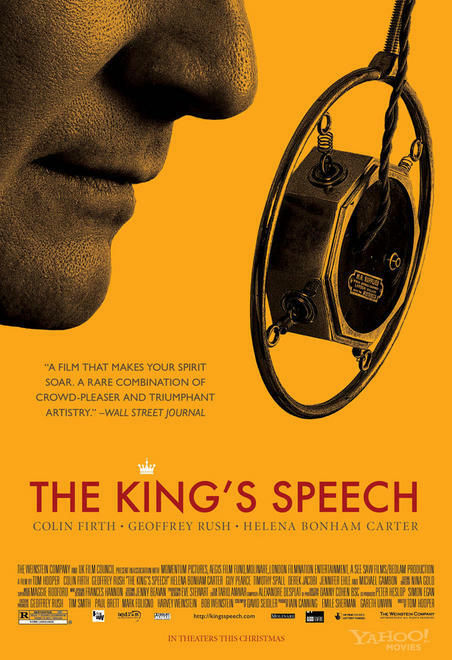 The King’s Speech: Renee has been wanting to see this movie for weeks and weeks ever since she first heard about it. She has had a stutter since she was six years old so she knew the content of the movie would be immensely personal. We loved how they approached it. Every stutterer has a different experience but the frustration is all the same and we think Colin Firth really expressed that accurately. Some scenes were hard for Renee to watch. When the King was yelling at his son to try harder, just get it out, take his time, she almost had to look away. Excellent movie and we recommend it to anyone. Plus the two movie tickets for $9, so it was a steal. Thanks Living Social! Rift: Rift was great as usual. We got up to level 30 and we’re still having a blast. Weirdly, one of Renee’s favorite parts on that game is riding around on my horse 🙂 We love playing together and it’s the whole reason we play the game as much as we do. We make every game great for each other in that way..
24: I absolutely love 24. I blame J for getting me addicted to it. It’s all his fault. I’m always like…just one more hour! I’m on season 2 and I look forward to getting caught up. Penn Station Subs: So we have always been reluctant to try Penn Station for whatever reason. Well it turns out we should have tried it years ago. It’s so great. They actually put your meat on a grill with the vegetables before putting it on the bread. Plus they have a fries. Renee’s a sucker for fries. Control Alt Geek: We were guests on the podcast Control Alt Geek with Aprillian and Jeppy and had a great time. We talked about our podcast coming up and we talked about the problems and questions that we had. It was really fun and comforting all at the same time. WoW: We raided in WoW as usual this weekend. We tried a new boss. There’s progress but it’s slow. We are 10/12 on this raiding tier which is pretty good. As long as there’s progress, we’re OK with the wipes. Pretty Lights: J found a band while watching a WoW raid boss kill video. He really liked the music that was used during the video and he did some research and found a band called Pretty Lights. All their music is free and you can give a donation if you feel so inclined. Their style is electronic, soul, funk and R&B. He’s a DJ out of Colorado and it’s not your typical hip hop give it a try! They have a cool, smooth vibe and Renee really enjoy it. Good job, J! Blue Snowball Mic: Our Blue Snowball Mic came in this weekend and tested it and did some test recordings. We really enjoy the mic and we sound great. We can’t wait to get content out there for you all and us! So true. Honesty and everything rcgeoinzed. Episode 001 – Inaugural Episode of the @Valentine Podcast Ctrl Alt Geek Guests!